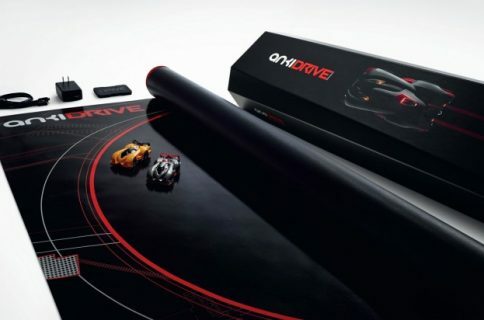 At the September double iPhone keynote, Apple’s boss Tim Cook invited guys from Anki up on stage to show off their new innovative game-slash-accessory, Anki Drive, basically an iPhone-controlled system comprised of miniature self-driving cars that race around a vinyl race track. 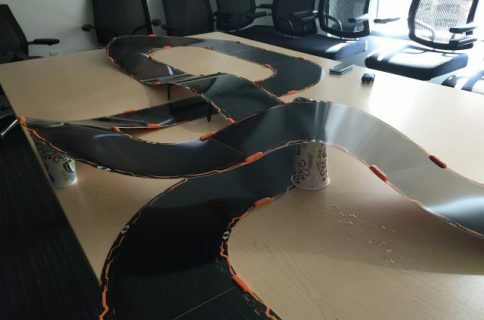 According to a listing on the online U.S. Apple Store, each car in the Anki Drive robotic car racing kit scans the track 500 times a second using built-in sensors and advanced algorithms to determine its exact position, speed and trajectory. They used machine learning and artificial intelligence to give each car a sense of its surroundings, so it knows where it is and what decisions to make. “At real-world scale, these cars could drive 250MPH executing maneuvers within a tenth of an inch,” notes the blurb. If you’re wondering why all the fuss, here’s a nice promo video. In addition, you can control the cars yourself to race against friends or AI cars using a free iOS app, compatible with the iPhone 4S/5/5s/5c, fifth generation iPod touch, iPad 3 and 4, iPad Air, iPad mini and iPad mini with Retina display. By earning points, you can make your car faster, be more agile or upgrade your weapons and shields. The app-enabled accessory ships with two cars, your race track, a charger and tire cleaner. Additionally, the blue Katal and red RHO cars are available for separate purchase. It’s interesting that each car has its own personality, is equipped with unique skills and has its own set of weapons and defenses. 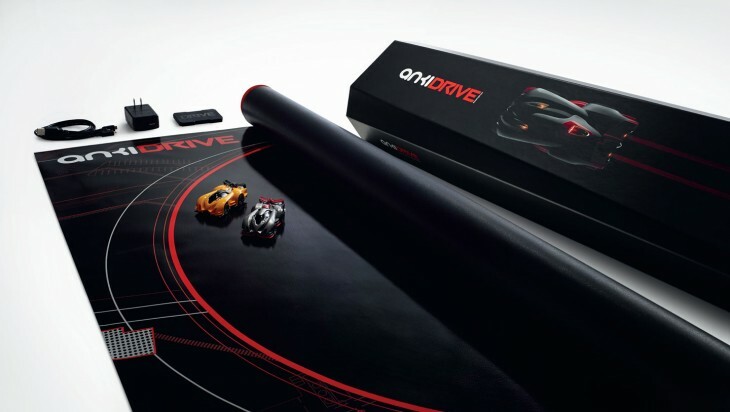 The Anki Drive Starter Kit is available for $199.95 from the Anki website and Apple retail and online stores in the United States and Canada with free shipping or same-day in-store pickup. 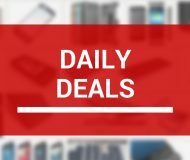 Anki announced a series of special events at Apple’s brick and mortar stores in San Francisco, New York, Chicago, Boston and Montreal to give customers first-hand experience and a chance to play the game themselves. By the way, repair wizards over at iFixit have torn apart the cars so hop over to their website to take a peek at the innards of the Anki Drive.